World War II, often referred to as the “Good War,” was a race war. For Americans, it was a race war against the Japanese, and it had a profound and disturbing impact on the Homefront. Against the backdrop of Japanese American mass incarceration during World War II, this talk asks the seemingly simple yet hitherto unexplored question: how did other Asian Americans cope with this time of heightened hostility and racism toward people who looked like them? Korean Americans make an especially interesting case study. In addition to being often mistaken for Japanese based on their physical appearance, they were forced to share the same legal classification with the Japanese on the Homefront. Because Korea had been annexed by Japan since 1910 and did not exist as an independent nation at the time of U.S. declaration of war against Japan, Korean immigrants in Hawai‘i and the continental United States were legally classified as Japanese subjects and, therefore, “enemy aliens” along with Japanese immigrants. Thus, Koreans found themselves in the strange predicament of being lumped together with the Japanese, whom they despised for colonising their motherland, and ironically were now accused of having loyalty to Japan. Framing her study as what Clifford Geertz has called “a social history of moral imagination,” Professor Kim argues that through complex, not always moral or effective, transnational politics, Korean Americans simultaneously resisted U.S. officials’ Orientalization of them as enemy and contributed to the racialization of Japanese Americans on the homefront during World War II. 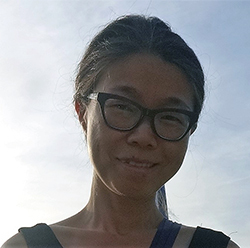 Lili M. Kim is Associate Professor of History and Global Migrations in the School of Critical Social Inquiry at Hampshire College in Amherst, Massachusetts, USA. Currently, she is a Fulbright Senior Scholar at Hankuk University of Foreign Studies in Seoul, South Korea. She teaches 20th-century United States history broadly, focusing on the issues of race, gender, class, migration, nation, and empire. Her forthcoming book, Unlikely Enemies: Korean Americans, World War II, and the Transnational Struggle for Justice on the Homefront, investigates how Korean Americans negotiated the racial terrains of the homefront that witnessed mass incarceration of Japanese Americans during World War II. She is currently at work on her second book-project, In Transit: Migration, Globalization, and Koreans in Argentina and the United States, which traces the history of Korean migration to Argentina that began in 1965 and their remigration to the United States. Her work has been supported by the NEH stipend, Fulbright grant, and Whiting Foundation fellowship. Prior to coming to Hampshire College, she was the Institute of American Cultures Postdoctoral Fellow at the University of California, Los Angeles.